The trimmer finally died… I suppose it was at least partially my fault as I did very little to care for it properly though on the other hand I’m not sure it ever functioned well. In any case, when I retrieved the trimmer from the shed and tried to crank it after several attempts I determined that it finally had given up. Gas was leaking out of the engine case. I detached the trimmer attachment from the motor and tossed the motor. Perhaps some future yard sale shopper will benefit from the purchase of an inexpensive trimmer head along with a tiller and edger. The first problem began with an apparent inability to charge my wife’s 13-inch Macbook Pro (Mid-2010 model). She began receiving battery status warnings as well. At the time I only suspected a software problem so I reset the SMC, which appeared to have resolved the problem. Several weeks later my wife starting having problems with her Trackpad again, but this was a new problem. In addition to the Trackpad not responding properly, the right side was visibly raised and the ability to ‘click’ the Trackpad simply wasn’t possible. The quest for my ideal charging case seems to be an ongoing adventure. For a while I used a Mophie charging case with an iPhone 4. It worked fine until the micro-USB port broke. After that I sent the case off for repair and switched to a wireless charging case. Eventually I ended up with an iPhone 5. 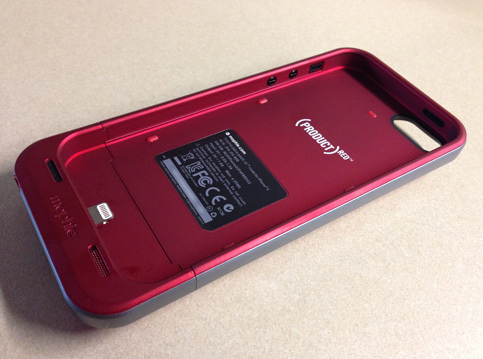 A short time after receiving it I ordered another wireless charging case (Duracell Powermat PowerSnap Kit). 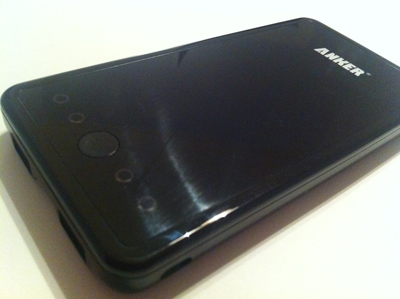 The newer version also included a snap-on battery pack (that itself could be charged wirelessly). The case worked OK but it felt clunky and when the battery was attached it was also heavy. Most of my issues with the case were relatively minor but as a whole it was somewhat awkward even though it functioned as advertised. One major annoyance is that a small piece at the base of the case had to be snapped off in order to sync the phone or charge it directly. I also became increasingly concerned that this particular piece would eventually break, thus rendering the entire kit useless until it could be replaced. 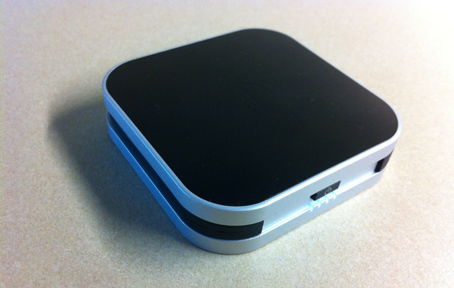 Recently I decided to try a Mophie Juice Pack Air with the iPhone 5. So far, I’m happy with it. I can’t say that it’s any lighter than the Powermat kit but at least the battery is always available and, more importantly, I can sync and charge the phone via the built-in micro-USB connection. 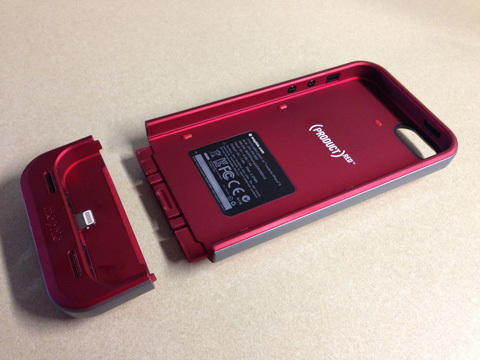 Unlike the Powermat case, the Mophie case is far more sturdy. It also has a bottom section that separates but it’s a well formed piece that is not likely to break easily. It’s a great device though it has one significant flaw. When the battery charges the phone it will not stop charging once the phone reaches a full charge. Instead, it will continue to charge the phone, which can result in one using up the Mophie battery sooner than expected (or necessary). A nice touch was the addition of a headphone extension cable. It may seem like a small thing but I’m already using this. 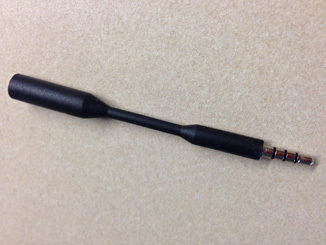 Though the iPhone earbuds plugin just fine, a pair of larger headphones I recently purchased would not work with the case without it. Updated 02/22/2014: I haven’t been able to sync the phone via the micro-USB connection. I’m not sure if the device is supposed to support this function, if there’s a problem with the battery pack, or perhaps there’s an issue with the cables I’ve tried. 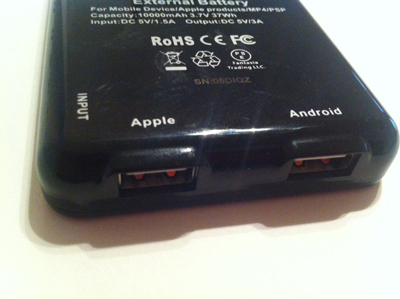 Updated 07/06/2014: The battery still holds a good charge and so far the charging port hasn’t broken off. Updated 12/31/2014: I’ve stopped using this charging case but only because my work phone was replaced with an iPhone 6. Up to that point it continued to work well and I did not have problems with the USB charging port, as I did with a similar case for an iPhone 4. Earlier this week I decided to add another component to my Powermat system. This piece will probably stay at my office and travel with me when I go out of town. I ordered a Powermat Travel Mat Combo Pack. 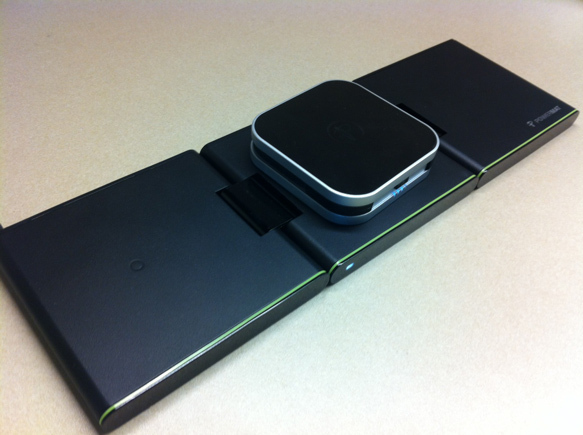 It includes a folding Powermat charging station that can charge three devices at once. It also includes a Powercube kit with additional adapter tips and a Powermat portable battery pack (this is a smaller, cheaper battery that is different from the other device I recently purchased). Pricing seems to vary. I paid about $30 for the entire kit. Overall, I really like this kit. It has some pros and cons that are worth mentioning.